I have some exciting stuff to share this week! 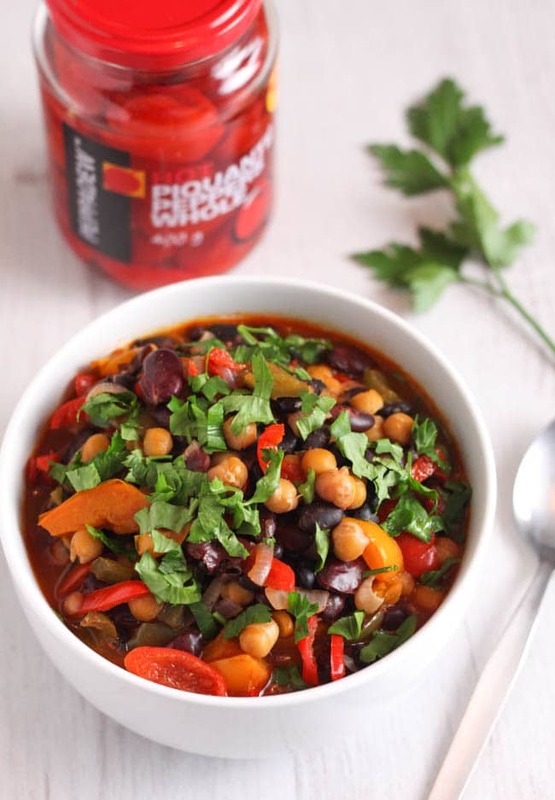 I’ve teamed up with Peppadew to bring you six yummy recipes using my favourite spicy piquante peppers, and I’ll be bringing you one a day for the rest of the week. I do spoil you. 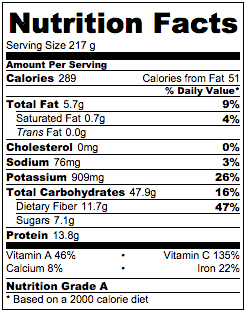 If you’re not familiar with Peppadews, let me give you a quick rundown. They’re little round red peppers, and they’re delicious. They’re slightly sweet, slightly spicy, slightly crunchy… they’re also really versatile, and can be eaten straight out of the jar, on salads or in sandwiches – or, you can use them for something a bit more inventive (as you’ll see from the 6 recipes I post this week!). There are a few different varieties of Peppadews, including mild, hot, and cheese-stuffed (no prizes for guessing which is my favourite!). I’m sure I’ll tell you more about them as the week goes on, so make sure you come back tomorrow for another recipe. If you like what you see, the lovely people at Peppadew are offering you a cheeky discount off your next purchase – click here to claim your coupon! 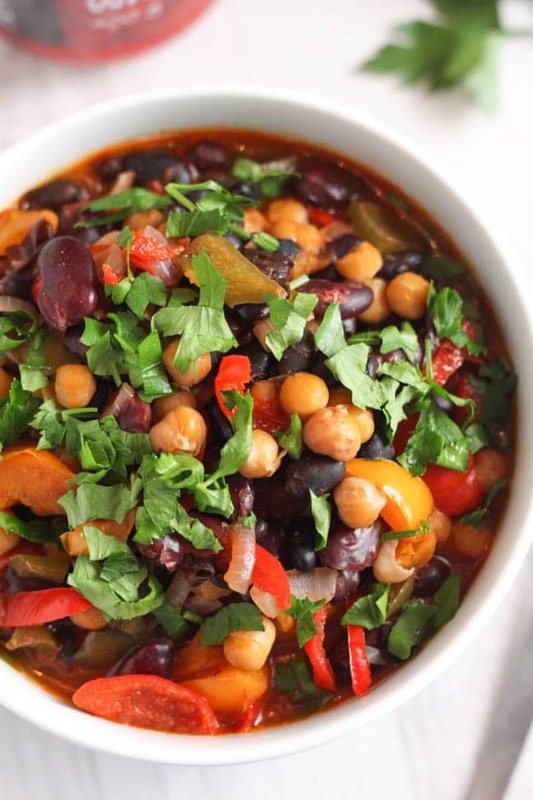 So, to start the week with a bang: spicy three bean soup! This soup is really easy to make – it only takes one pan, so you basically just throw everything in together. Start by frying up your vegetables. 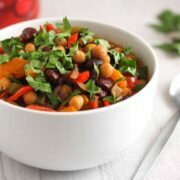 If you don’t have the right veggies on hand, you can easily mix it up and just use whatever you have in the fridge – it’s the sort of soup that could handle most vegetables. I kept it light with peppers and onions, but feel free to bulk it out with more veg if you want to. Then, add some liquid and three different types of beans. 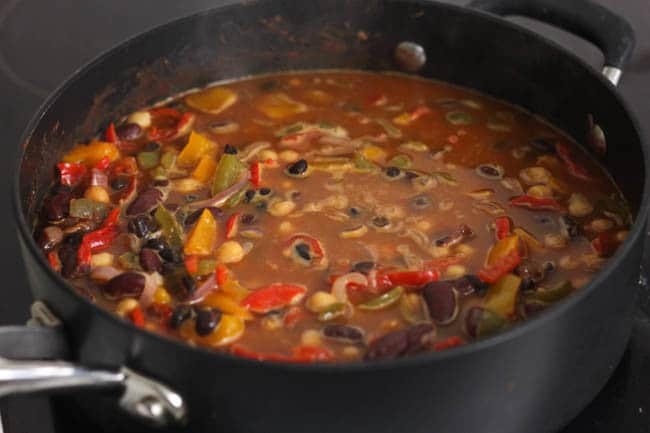 I chose black beans, kidney beans and chickpeas, but actually this three bean soup is a great way to use up those random tins that you’ve had in the back of the cupboard for two years, full of bizarre beans that you’ve barely even heard of (I can’t be the only one who has those?). So again, feel free to use whatever you have on hand. Once you’ve got your vegetables and beans simmering away, it’s time to add the all-important flavour-makers. Don’t get me wrong, vegetables are delicious, but the next few ingredients really liven things up: smoked paprika, fresh parsley, those tasty Peppadew peppers, and some chilli flakes (if you can handle a little extra heat!). If you want to use your leftovers in a slightly different way, simmer your three bean soup for a while longer until it thickens up, and serve it with rice and sour cream as a kind of chilli. Bosh – two tasty dinners from one recipe. Don’t forget to come back tomorrow (and for the rest of the week!) 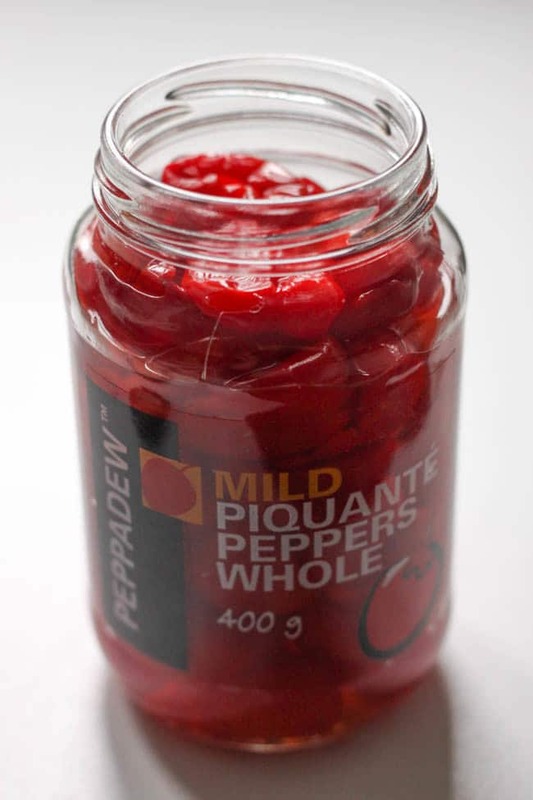 for another tasty Peppadew recipe. 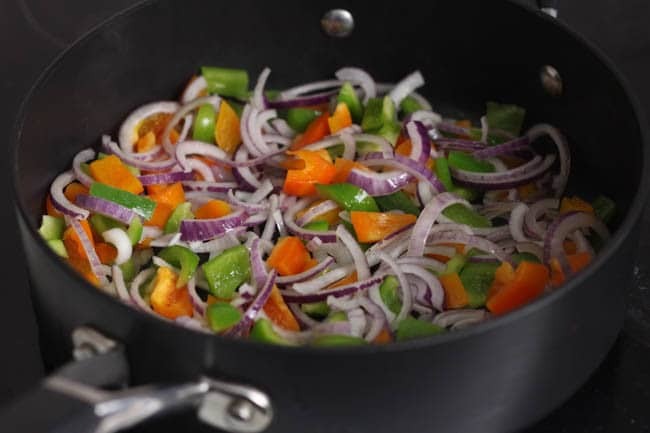 Heat the oil in a large saucepan, and add the peppers, red onion and garlic. Cook for a few minutes over a medium heat, until the vegetables are fairly soft. Add the three drained tins of beans, the chopped peppadews, smoked paprika, and crushed chilli flakes, and season generously. Pour over the vegetable stock, and bring to a gentle simmer. Allow to cook for 10 minutes, or until you’re ready to eat. Serve topped with plenty of fresh parsley. I want to make this so much, but given we are coming into summer here in New Zealand I think this is something I’ll try when the weather cools down. 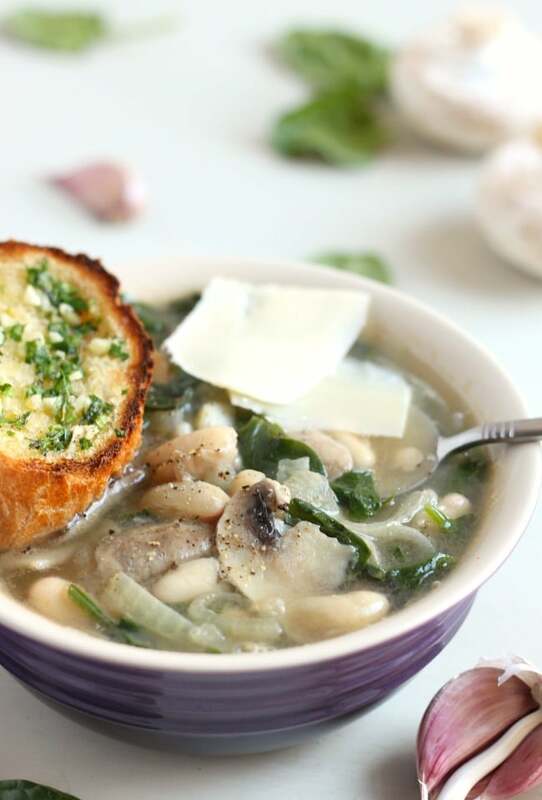 This is perfect for the cold weather, a bowl full with hot crusty bread. That looks seriously nourishing, a proper hit of comfort food. Pinning it for inspiration! I am obsessed with these little peppers! I am quickly discovering that there is so much that you can do with them too! I need to use more legumes in my cooking, they’re so comforting and filling and good for you too. I like the soup idea! 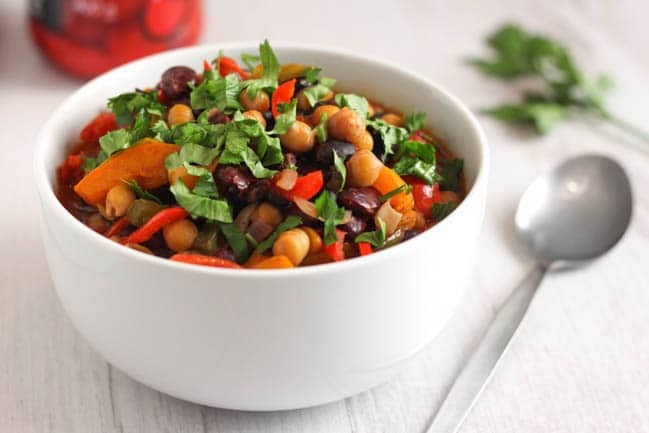 I’m loving all the vibrant colour of this soup, it looks delicious! I love Pepperdew, looking forward to seeing what else you come up with! I also love beany soups, super frugal and also very filling. 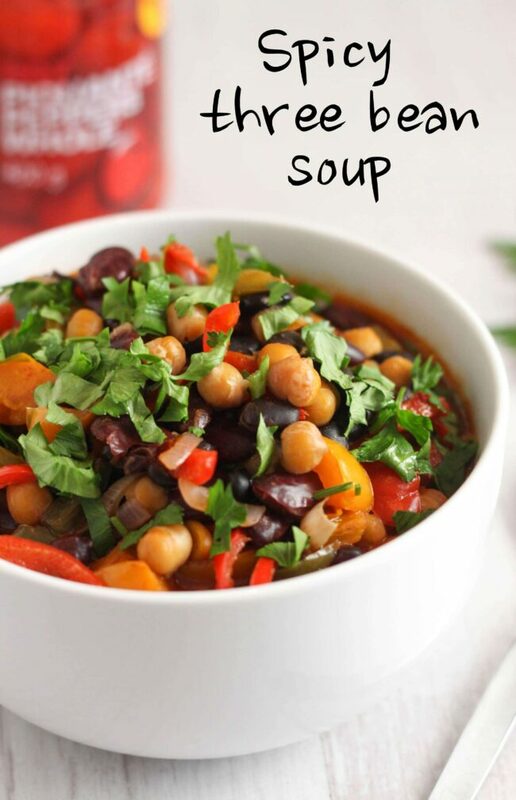 Beans are my pet hate so this wouldn’t be great for me, but I do love the idea of a spicy soup.